We’ve long reached the point when a new Woody Allen movie isn’t something to get excited about anymore, but it’s also certainly not something to dread either. 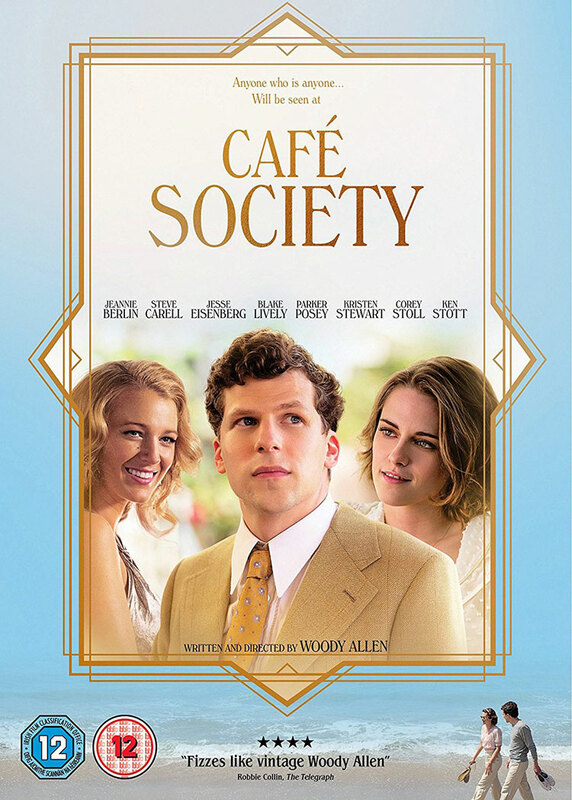 This year he returns with Café Society, another Allen movie we can add to his recent list of his films that are decent enough, but nothing particularly special. 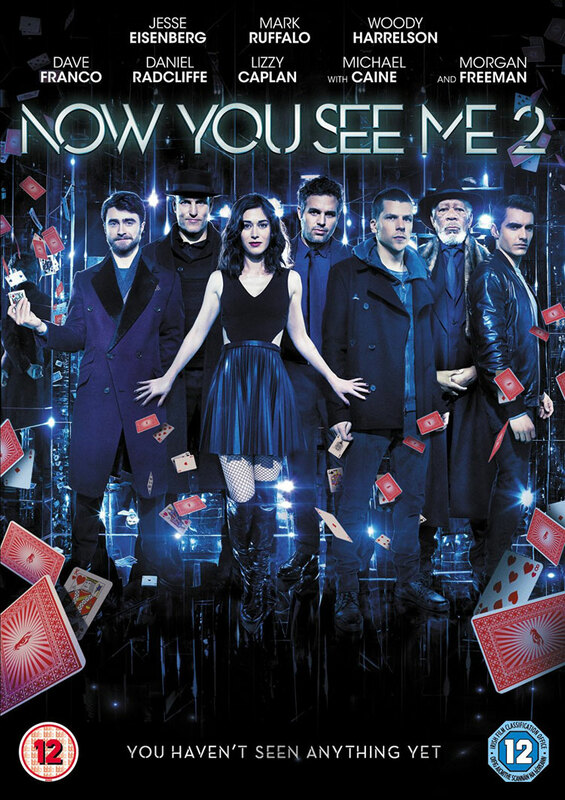 2013’s Now You See Me proved a far bigger hit than most people expected, which has ensured we’ve now got a follow-up. After their Robin Hood exploits in the first movie, illusionists The Horsemen have been in hiding, waiting for ‘The Eye’ to tell them what they should do next. They also have a new member, with Lizzy Caplan’s Lula joining Daniel Atlas (Jesse Eisenberg), Jack (Dave Franco) and Merritt (Woody Harrelson), along with their leader, FBI Agent Dylan Rhodes (Mark Ruffalo). As they say, ‘The higher you climb, the further there is to fall’. That’s a fair description of Batman v Superman, a film that you certainly can’t fault for its ambition, but which can’t reach the heights it strives for despite its best efforts. 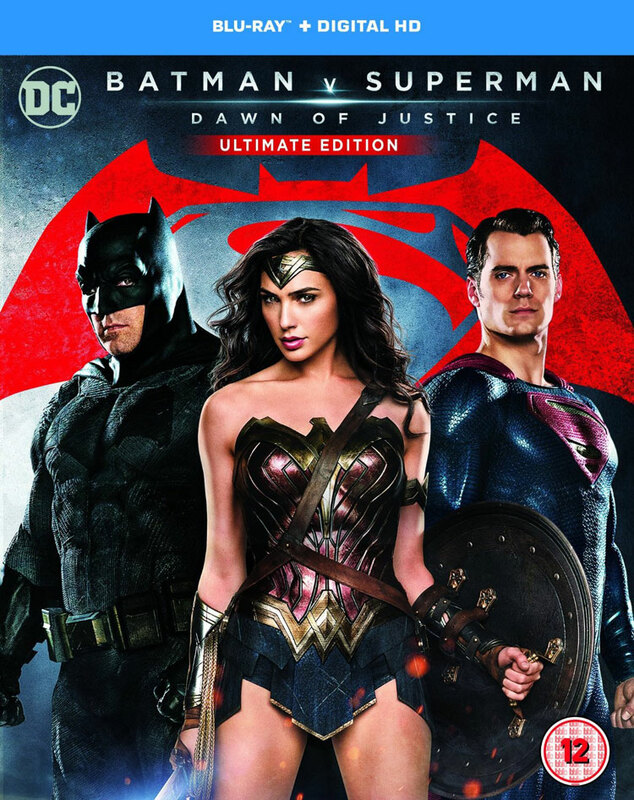 After an exceedingly mixed reaction at cinemas, the film comes to Blu-ray in an Ultimate Edition form, which adds in an extra 30 minutes of footage and adds back in some of the violence that US censors wouldn’t permit to get it a PG-13 certificate. It turns out Batman v Superman star Jesse Eisenberg has no time for anti-gay trolls. He’s currently in London starring in The Spoils, a play he also wrote that is currently playing at Trafalgar Studios. That theatre is just steps from Trafalgar Square, which was the focus of London Pride events on Saturday, with the result that on his way to work, Eisenberg came across a bunch of anti-gay, ‘Christian’ protesters. The meeting was captured on camera, with Eisenberg watching as the protesters use tortuous logic to explain why God is a ‘God of love’, but also one who’s happy for them to spread their particular brand of hatred and judgement. One protester then asks Jesse, “Is your mind closed?”. Watching the video you could almost feel sorry for the protesters, as despite having a nice, large area cordoned off for them to spout their nonsense, hardly anybody bothered to turn up. While proper Pride attendees got messages of support from the likes of David Cameron and Jeremy Corbyn, the protesters just got a movie star swearing at them. Oh well. Even when Woody Allen doesn’t star in his own movies, there tends to be a stand-in for him, and it has to be said, he’s picked a good on for Cafe Society in the form of Jesse Eisenberg. Re-teaming him with the often wooden Kristen Stewart may not have been as good an idea, but we will see. Ahead of the movie’s debut at Cannes, the first trailer has now arrived. Eisenberg plays Bobby, a young man who relocates to Hollywood in the hopes of pursuing a career in film. Once there, he falls in love and becomes captivated by the lush Hollywood scene. Steve Carell, Blake Lively, Parker Posey and Jeannie Berlin also star. After the surprise success of Now You See Me, it didn’t take long for them to put a sequel into development. It has taken a little longer to arrive that originally planned, but now it’s on its way and the main trailer has arrived. Here’s the synopsis: ‘THE FOUR HORSEMEN return for their second mind-bending adventure, elevating the limits of stage illusion to new heights and taking them around the globe. One year after outwitting the FBI and winning the public’s adulation with their Robin-Hood-style magic spectacles, the illusionists resurface for a comeback performance. When the Horsemen are threatened into pulling off their most impossible heist yet, their only hope is to perform one last unprecedented stunt to clear their names and reveal the mastermind behind it all. A couple of months ago Henry Cavill’s Superman, Ben Affleck’s Batman and Gal Gadot’s Wonder Woman got their own character posters for Batman V Superman: Dawn Of Justice. It’s taken a while but now they’ve been joined by posters featuring Amy Adam’s Lois Lane, Jeremy Irons’ Alfred and Jesse Eisenberg’s Lex Luthor. Take a look at them individually below. The movie will be in cinemas on March 25th, so there’s only a month to go! 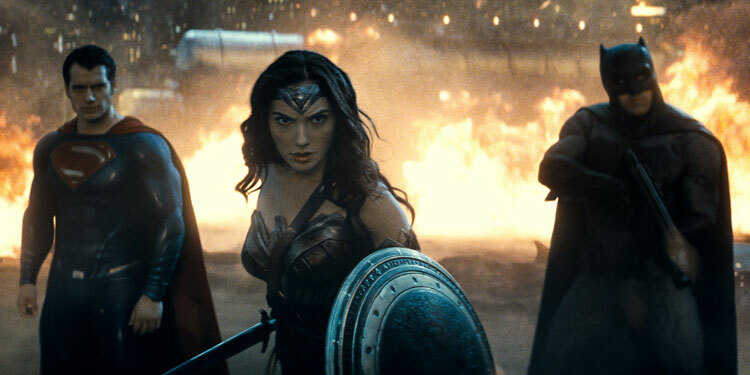 Batman v Superman: Dawn of Justice Final Trailer – What is the Caped Crusader’s problem? It appears that Warner Bros. has decided that to really rev us up for next month’s release of Batman v Superman: Dawn of Justice, we ought to know a bit more about Ben Affleck’s take on the Caped Crusader. As a result the new trailer focuses on him, while not forgetting that the Man Of Steel is pretty important to. The movie is due out next month. Take a look at the new trailer below. Oh the hilarity, Daniel Radcliffe is rubbish at magic! Let’s not hope that’s the whole joke with Now You See Me 2 (I presume it’s not), but this teaser trailer seems to love the idea of it. 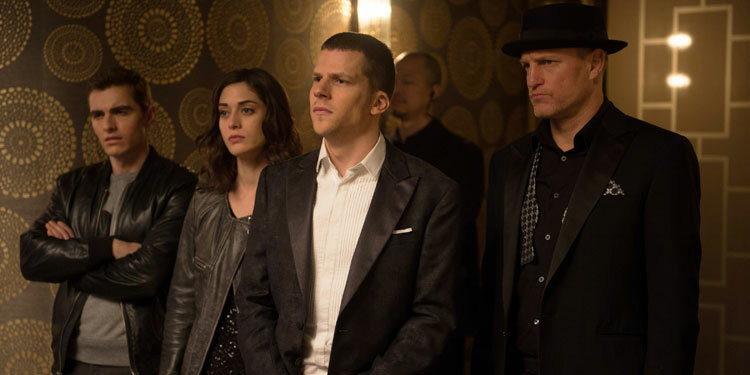 Here’s the sequel’s synopsis: ‘THE FOUR HORSEMEN [Jesse Eisenberg, Woody Harrelson, Dave Franco, Lizzy Caplan] return for a second mind-bending adventure, elevating the limits of stage illusion to new heights and taking them around the globe. ‘One year after outwitting the FBI and winning the public’s adulation with their Robin Hood-style magic spectacles, the illusionists resurface for a comeback performance in hopes of exposing the unethical practices of a tech magnate. The man behind their vanishing act is none other than WALTER MABRY [Daniel Radcliffe], a tech prodigy who threatens the Horsemen into pulling off their most impossible heist yet. The film hits cinemas next June.